Private Access Journeys offers creative customized itineraries, local cultural connection, concierge-level service, and luxury accommodations — including vacation rental apartments — in the heart of Paris and Florence. 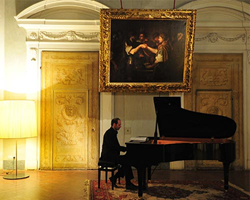 A personal concert in a private palace is one possibility. We are excited to apply our philosophy of apartment-based deep travel to the luxury market. Untours announces the launch of European luxury vacations in Paris and Florence. Private Access Journeys offers a rich menu of unique local experiences tailored to travelers’ specific interests and passions. Arrangements include concierge-level service on site and luxury accommodations in the city center. Guests stay in luxury vacation rentals or hotel accommodations that are hand-picked for their character and comfort, as they prefer. On site in Paris and Florence, Experience Coordinators leverage their own experience and local relationships to help design itineraries with special arrangements that are entirely client-driven. Private Access Journeys arrives on the scene just as data shows an upward trend in demand for self-directed travel support among experienced travelers in the U.S. market. Untours has offered apartment-based vacations since 1975, encouraging guests to live like a local in Europe. Offering vacation rental packages in 25 destinations plus small boat cruises, Untours travel focuses on experiencing the local culture. As a founding B Corporation, Untours is committed to best practices for its customers, staff and the environment. Contact Brian Taussig-Lux or see http://www.untours.com for more.